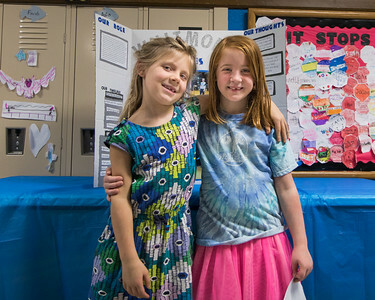 Student Assembly emcees Lola Moran and Molly Nachtrieb explained thier leadership roles together during the station walk. Photo by Debbie Malyn. 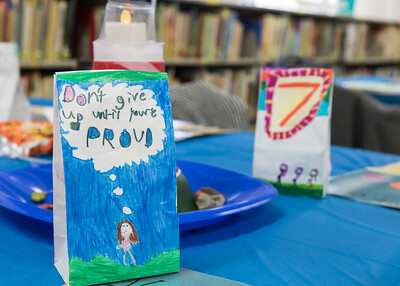 Whitmore-Bolles Elementary held its 2nd annual Leadership Day on March 8, 2017. 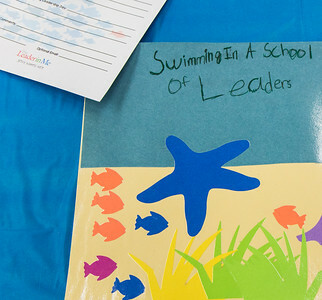 This student led day immersed participants in the student leadership culture created by the implementation of The Leader in Me initiative at Whitmore-Bolles. 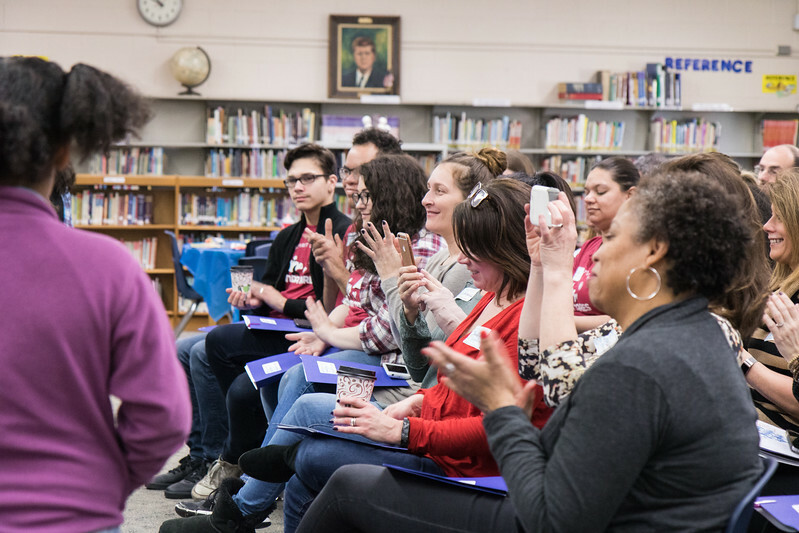 Attendees included community members, parents and staff from Dearborn Public Schools and other districts. Photo by Debbie Malyn. 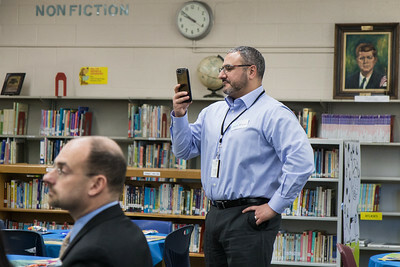 Youssef Mosallam, Executive Director of Student Achievement for Dearborn Schools. Photo by Debbie Malyn. 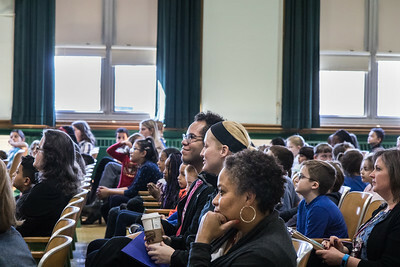 School Board Trustee Hussein Berry, and Jill Chochol, Executive Director of Student Achievement for Dearborn Schools, watch as the Whitmore-Bolles Eagle Chorus performs. Photo by Debbie Malyn. 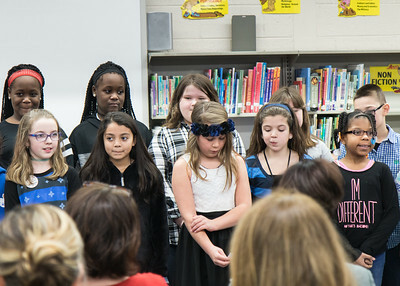 The Whitmore-Bolles Eagle Chorus gets ready to perform their song about the 7 Habits. Photo by Debbie Malyn. 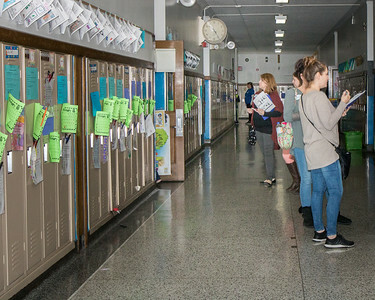 Leadership Day participants were encouraged to explore the building to view student work and see how the 7 Habits are practiced in the classrooms. Photo by Debbie Malyn. 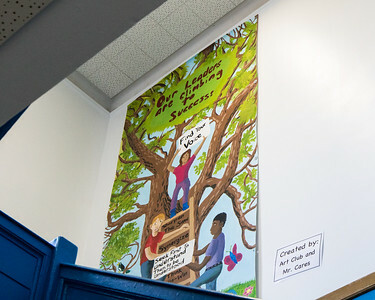 Student artwork throughout the building helps to reinforce the leadership culture at Whitmore. Photo by Debbie Malyn. 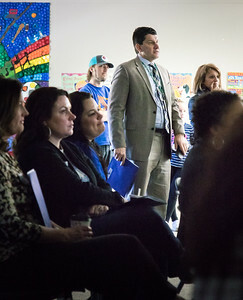 Dr. Glenn Maleyko, Superintendent of Dearborn Public Schools, watches as students introduce a video produced by the student Broadcast Club. Photo by Debbie Malyn. Autumn Davis greets Mayor John B. O'Reilly, Jr. Photo by Debbie Malyn. 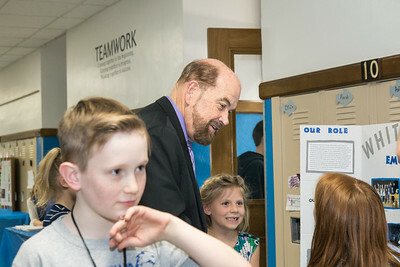 Students were excited to explain their leadership roles to Mayor John B. O'Reilly, Jr. Maddy Hall and June Koglemann esplained the role of the Student Lighthouse leaders. Photo by Debbie Malyn. 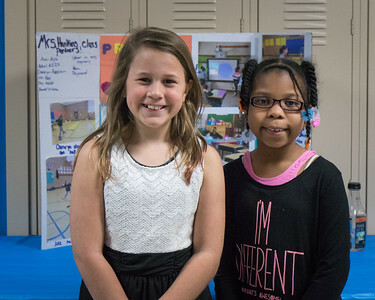 Ava Croft and Jayla Still shared Project Unify with visitors. Photo by Debbie Malyn. 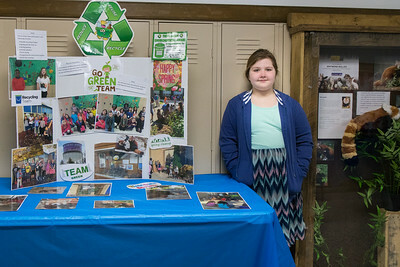 Ruthanne Ferguson represented the Go Green Team during the station walk. Photo by Debbie Malyn. Students were excited to explain their leadership roles to Mayor John B. O'Reilly, Jr. Photo by Debbie Malyn. 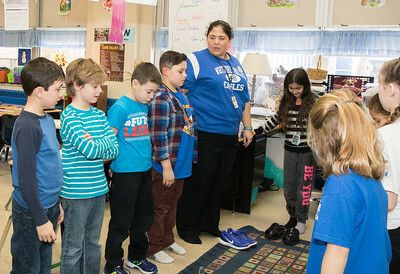 During Habit Time, students tried on each other's shoes as a way to illustrate and prompt discussion of Habit 5: Seek first to understand, then to be understood. Photo by Debbie Malyn. 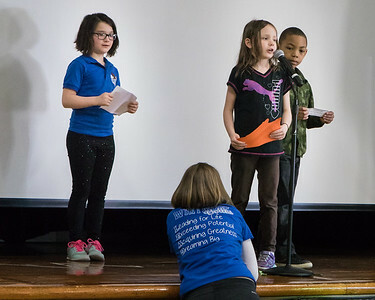 After Habit Time, students presented what they learned at an assembly for students, staff and participants. Emcee Sophia Nowak looks on as Kenzie Good and Lamar White share. Photo by Debbie Malyn. 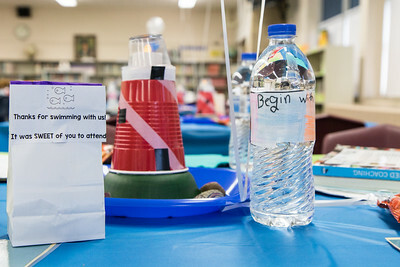 Leadership Day participants visited classrooms during Habit Time. Photo by Debbie Malyn. Leadership Day participants enjoying the student led assembly. Photo by Debbie Malyn. 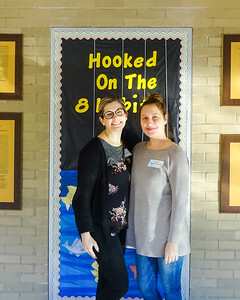 Whitmore-Bolles parents Alisha Sulla and Sonya Thomas. Photo by student Broadcast Club member Lily Majcher.